06 Aug 2018 - Spring cleaning...... or more like, oh crap electrical short, need to clear out some stuff to get to the outlet, but either way, we found some stuff stashed away. So, I just put them out in the "Flea Market"
21 November 2017 - Like I said, a week off from school gives me some time to work on new items. These have been sitting on the shelf since the summer, and a few on the painting table. Now they are available to you. 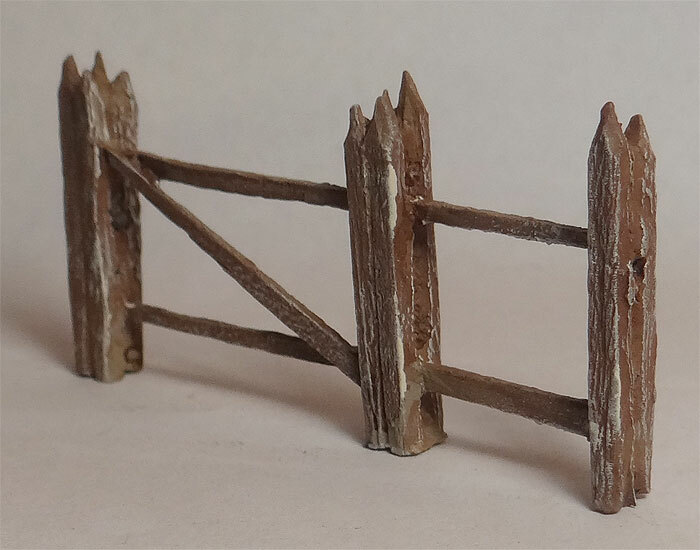 Split Rail Fences! 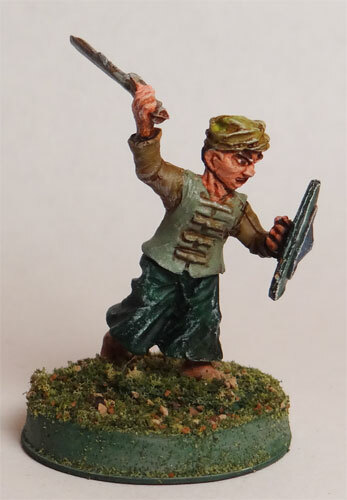 in 28mm scale. I use them for Desperado, but they would work great for most 28mm games. 20 November 2017 - Happy Thanksgiving week. As Michelle and I continue to get a little extra time. Remember, MKP is our second job. We have several new items coming up. The mold are done and the sample are coming out. Here is the first of the group. 1" Corduroy Roads! These were designed to match the 1" roads we already make. If you have any questions, please contact us using the e-mail link below. 20 July 2017 - Ok, Been awhile. Between softball, kids and school, things got kind of chaotic over the last couple of months. But, we are back up and running. 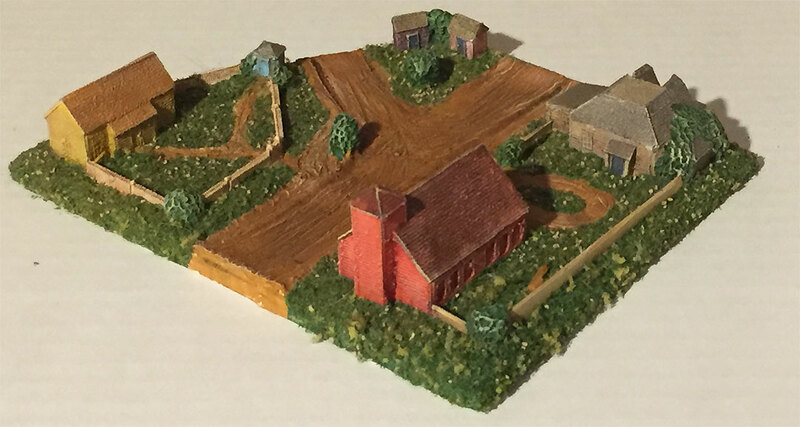 The lastest release is 6mm Villages designed specifically to fit into our 1" latex dirt roads. We are currently also working on 15mm Early WWII Eastern Fortifications (Specifically Poland 1939), 1" Corduroy roads in latex, and remastering some of the old Scenic Effect lines. For now, take a look at the new villages and let us know what you think through our Facebook site. 24 Feb 2017 - Getting some more example figures painted in the evenings, most recently, Moro Troopers! 18 Feb 2017 - We have just finished all of the molding and preliminary cast on our two newest large terrain, the 28mm Trench System. This system was designed and mastered by Company B miniatures with MKP handling the molding and casting of the system. 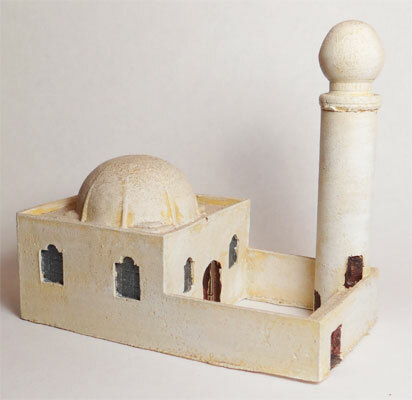 13 Feb 2017 - Just another short evening at the computer, finally had the chance to finish posting the last piece of Ray Sams 6mm North Africa Buildings, the Mosque. 12 Feb 2017 - Slow weekend, HTML speaking but got a few things off the back burner and onto the site. New Table and Chairs image (sometimes you just look and have to ask yourself, why in the WORLD did I put that online! ), finally getting some of the Moros painted including the primer on some Weapons packs (more painted Moros should be done this week) and off the painting table was a project for myself, that I think many of you might be interested in, Gates for the classic Scenic Effects Walls. I have two more gates in work, this is just the first one. I also noticed that the wall pictures are a little out of date, I will be starting on some images for that as well. Thanks for all of the positive messages through Facebook, it does make things easier when I know people are actually visiting. 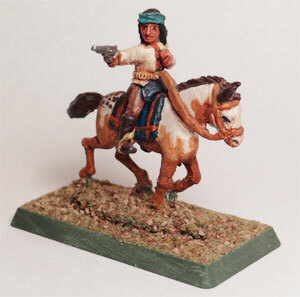 08 Feb 2017 - Two new Mounted Indians released for the Desperado line of miniatures, along with new images for most figures uploaded. Check them out HERE! 07 Feb 2017 - New Images of French Foreign Legion Posted tonight. Check them out, Here! 05 Feb 2017 - As part of the upgrade, we discovered that the basic Howard Hues Colors were not uploaded, this has been done now, so enjoy 27 more paint colors! 04 Feb 2017 - New Website in work. The MKP site is getting a facelift in the hope of helping you find everything you need for your gaming table quicker and easier. Please bear with us as this might take a while propogate and rebuild all of the pages for our products. Find something has disappeared? Please let us know, it is our intention to keep every one of our products available during and after this reconstruction.